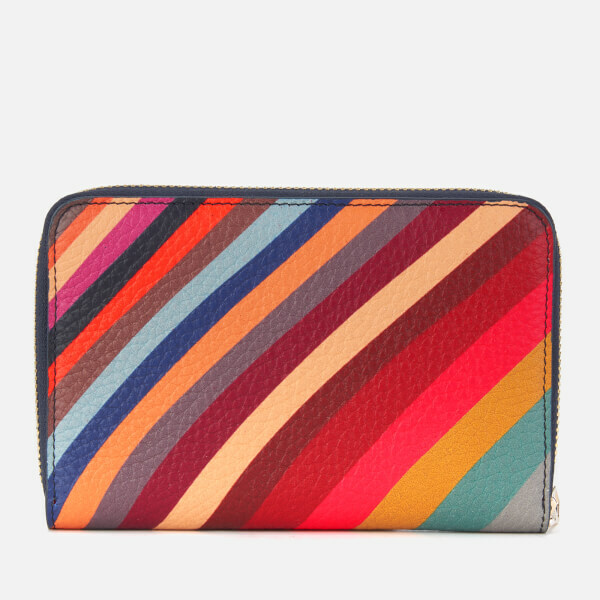 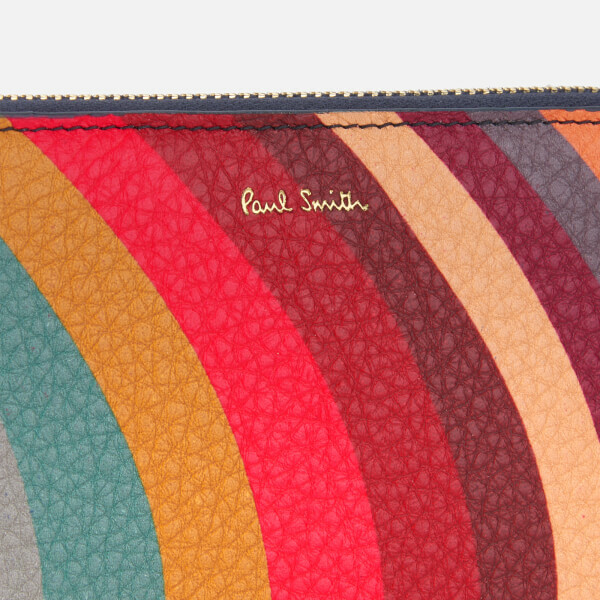 The zip around purse from Paul Smith is decorated in the brand’s iconic multi-coloured ‘Swirl’ print. 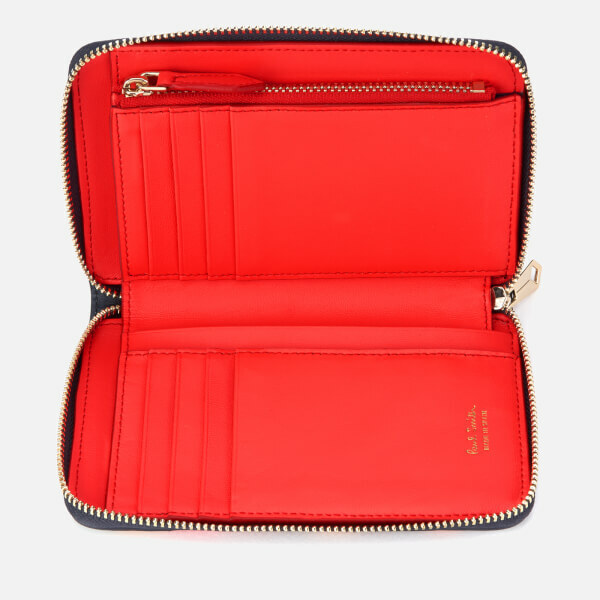 Presented in textured leather, the wallet opens like a book to showcase multiple card slots and pockets for storing coins, cards and notes. 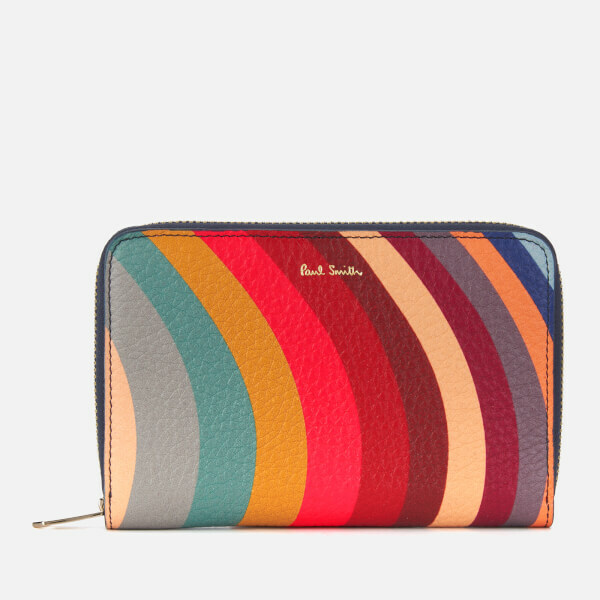 Gold foil branding adds the finishing touch.